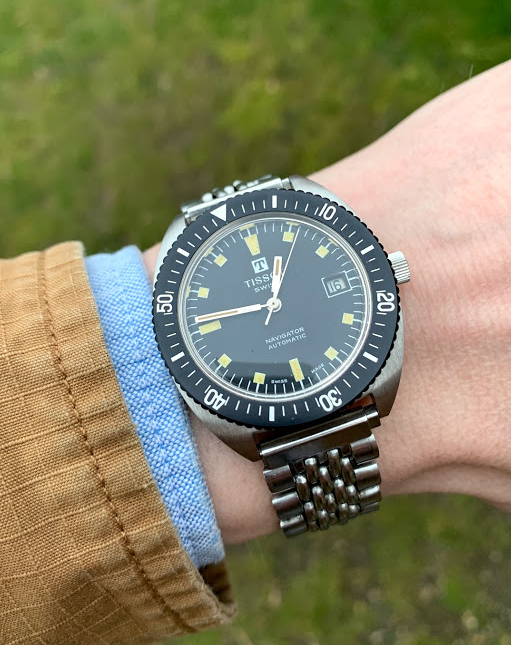 Up for sale is my vintage Tissot Navigator in beautiful condition from the early 70's. 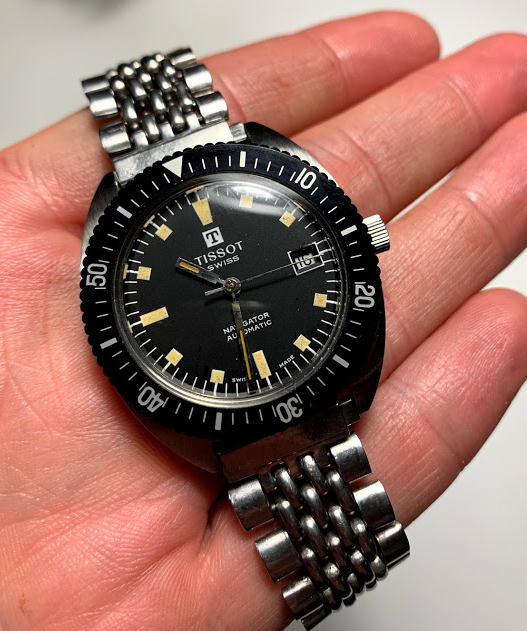 Beautiful and classic vintage diver dial lay out with super creamy lume. The watch meassures 36 mm, is in fine working condition with lots of reserve. The service history is unknown. The hands might have been replaced, but difficult to know for sure, since the Navigators from that time came with different hands. 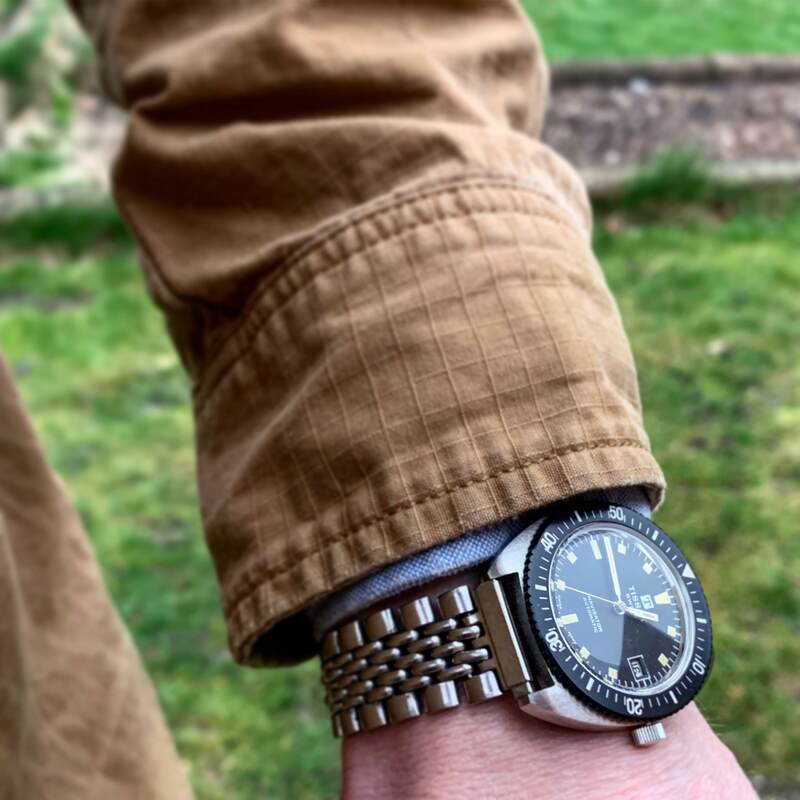 The watch comes on a cool vintage BoR bracelet.